On 5/18, I saw heartbreaking news flood my Facebook timeline. 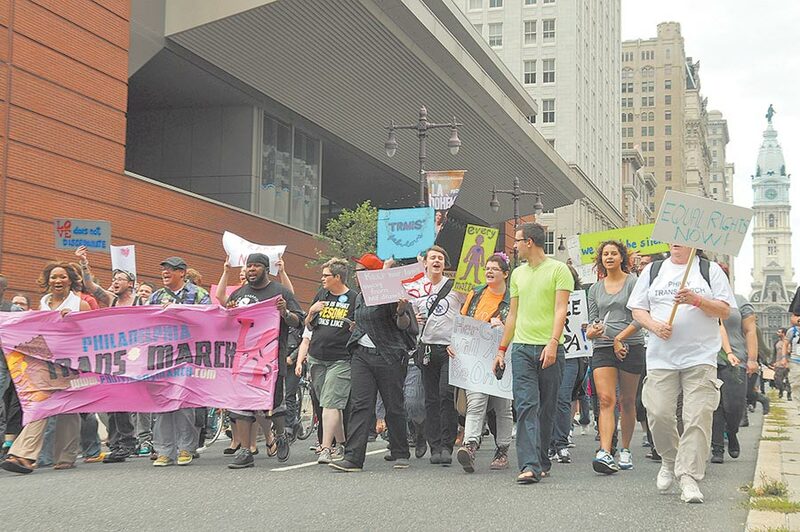 Philadelphia’s committed body of trans activists, many of them of color, were talking about a trans woman’s murder. Her name was, and still is, Londyn Chanel. She was 21 years old. There are people with boots on the ground in Philadelphia, and in other major cities throughout the country, who do the most difficult and emotionally draining work in the fight for our community to stay alive. These trans and cis activists reach out to trans women of color and provide services to us, organize rallies when we are murdered, and give us spaces where we can simply be allowed to exist in peace. Not everyone is cut out for the work these people do, because they often have to deal with violence, death, and illness. It’s emotionally draining and requires a level of self-sacrifice that most people can’t get to. That’s not necessarily a bad thing; self-care is important and if you know you can’t do something like that it’s best that you find other ways to be helpful. 1. Our voice is all we really have, help promote it. Instead of posting the latest trans thinkpiece by cis people, promote the work of trans women of color writers. It never fails that when something about trans women of color (or any trans person) manages to make it into the mainstream, 1001 think pieces by cis people come out and are praised, while the work of trans women of color is shifted to the side. Whether it’s on outlets like Black Girl Dangerous, The New Inquiry, or personal blogs, our words and voices matter. Listen and promote them. 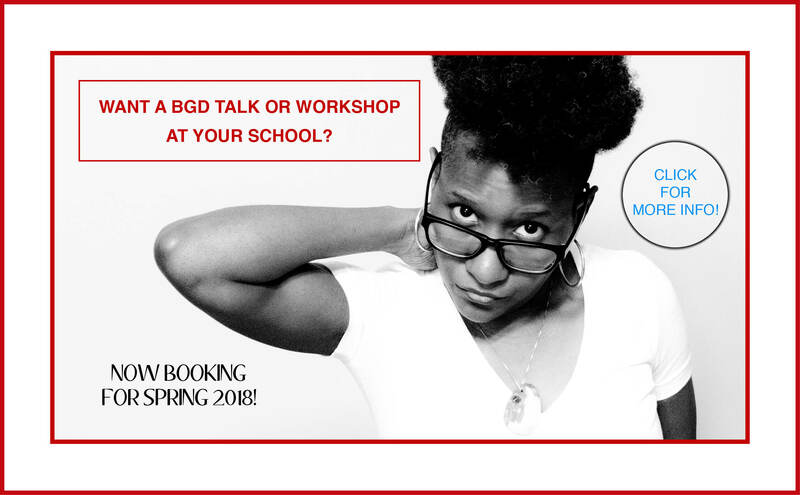 BGD is a reader-funded, non-profit project. Please SUPPORT US for GiveOUT Day! 2. Mourn trans deaths, but also celebrate trans lives. It seems conflicting, but even as I mourn trans death, I lament that it seems like trans death is the only trans “thing” that people see. But that’s not all there is. We are creative and dazzling in our brilliance. Our community is starting to come together to celebrate this brilliance, so cis people—cis people interested in acting in solidarity with trans people —should join us in celebrating our lives. We’ve created cultures and subcultures and have even influenced (and created) genres of music. You can celebrate our lives by celebrating that legacy, amplifying media created by trans people, and by attending open events that celebrate trans communities (such as the Philly Trans March). 3. When you say #BlackLivesMatter, remember that includes black trans lives. Despite the #BlackLivesMatter movement being started by black, queer women, it always goes back to cishet black men being the focus of our actions, love, and concerns. If you write or if you do any type of activism, factor other genders into your work. Include, and even center, Black and Afrolatin trans women. It’s heartbreaking to see people forget us time and time again. On Twitter, I wrote that it felt like people forgot about black trans lives because they forget that black trans people even have lives. But we do. Don’t erase us from your activism; we are very much a part of your communities. 4. Lift up our names, do not let them be forgotten. One of the most depressing things that I noticed from the recent protests is that there were few movements for trans women of color who are killed, despite us targeted on a near constant basis for violent, sexualized abuse. While the lack of outrage surrounding our deaths are not unique to Black and Afro-Latin trans women—it’s common when all black women and queer black folk are murdered—it’s almost as if trans women of color aren’t even acknowledged as having been alive in the first place. When there are protests and actions in your city, or online, do your best to speak and uplift the names of our lost. The same way you know names like Mike Brown and Freddie Gray, you should know names like Mya Hall and Nizah Morris. The same way you know names like Trayvon Martin and Jordan Davis, you should know names like Londyn Chanel and Penny Proud. Do the research. All it takes is a Twitter search. 5. Protect trans women of color at all costs! The amazing thing about the Philadelphia trans community is that everyone involved in it, both cis and trans, come together to support the girls. Even if you aren’t in an urban or suburban community, you can be there for trans women of color in your area. Be a part of their support network and reach out to them. Protecting and being there for trans women of color doesn’t require much more than friendship. We are your friends. Stand up for us the way you would for any friend. 6. Spread awareness of anti-trans legislation in your local governments. Throughout the country anti-trans legislation such as bathroom bills and bounty bills, which would make it illegal to use public bathrooms and be openly trans in public, are being introduced at a disturbing pace. While some of the bills have been shut down before even being seriously considered, that was only made possible because of trans people and our allies protesting against them. Even if you don’t know how to get involved in actions like that, you can spread awareness about these laws on social media and call your representatives to voice your opposition to it. 7. Financially support organizations and people who do the work. Often, the organizations and that do the work that is most needed for trans women of color are strapped for cash. Instead of donating to big organizations that get money but do nothing for TWoC, donate to grassroots orgs. Organizations such as the Trans Women of Color Collective and Sisterly L.O.V.E (A Project of Mazzoni Center) do the work for trans women. There are other organizations that do this as well. Research them. Ask around and find out about them. Even $5 could mean the difference between having one more community event or not. While some may be financially struggling and can’t donate, those who have the resources should donate to these movements. Even donating a pizza to a grassroots organization for a get-together and check-in is important. The same way you support other black and brown folk, support trans women of color. We do not create violence. We are oppressed on all sides even by our own. This is only a small list, but these are easy things that can be done if you really want to do them. Our lives depend on you doing them. Do not republish anything from this site without express written permission from BGD. For more info, go here. Princess is an afro-latin trans woman, survivor of childhood and adult sexual violence, creator, otaku, and anti-violence activist Her writing has been published on The Feminist Wire, Feministing, Black Girl Dangerous, Know Your IX, and FeministaJones.com.